In this age of digital communication and the sometimes impersonal approach to building business relationships, is there still room for the human touch? The answer is a resounding YES! People want to do business with people they know. And as we all learned in Psych 101, body language is critical in communicating and establishing trust relationships. Getting out there, shaking hands and showing people your products and services is an essential part of doing business. 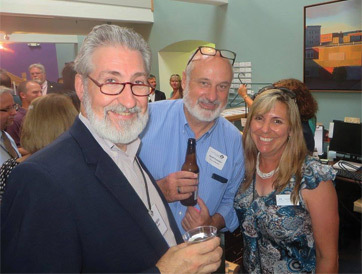 The Chamber’s 27th Annual Business Showcase, happening on Monday, March 19 from 4:30 to 7:30 p.m. at the Grappone Conference Center, is an excellent way to make your presence known to others in the Capital Region. One hundred Greater Concord Chamber exhibitors and several hundred attendees will be participating in this high energy show. And talented members from the restaurant industry will showcase their unique specialties! Network over complimentary samples from our Hospitality Sponsors: Alan’s of Boscawen, The Barley House, The Granite Restaurant, Washington Street Café and The Works Bakery Café. Exhibiting is a cost-effective and affordable way to get your business out there. 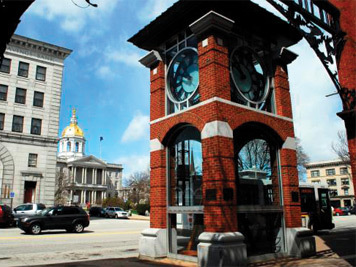 Registration is open at concordnhchamber.com/business-showcase or by calling the Chamber at (603) 224-2508. The show typically sells out, so reserve your booth today. Doing business doesn’t always mean sitting in front of a computer. So get ready to shake off the winter blahs, and join us on March 19 to reconnect with your current customers and meet new ones. All the cool people will be there! Thank you to our Presenting Sponsors Merrimack County Savings Bank and Unitil for your generous support. And special thanks to our Partner Sponsors: Duprey Hospitality, LLC, Taylor Rental Center & Party Plus, NH Business Review, Concord Monitor and Binnie Media.